We all love stories - long or short, adventurous, funny, true, heartbreaking or hilarious. We all love a good story. Everyone has a story to tell. Will David defeat Goliath again? The potency of a speech is not so much about its content, but about its presentation - the potential to inspire with powerful lessons, the pace, the posture, the pitch, the phrases, the painting of pictures into words and the prevailing pause. The simple pleasures of rhyming words - even those that don't quite rhyme may sometimes need just a bit more thyme (time - get it?) From helping us to remember, to finding our inner voice and making sweet music with our words, there's just something magical about poetry. Deep breath, Eye contact, Connect. Remember you have a story worth sharing. Make them laugh or cry, gasp with surprise or be completely silenced. You are the master storyteller - your words, your space. You have done the preparation; ignore the sweaty palms; most people get nervous on stage anyway. Match your tone with your message and project the image you want to convey. The stage is yours! Use it well! The ability to communicate effectively is perhaps the most important of all life skills. 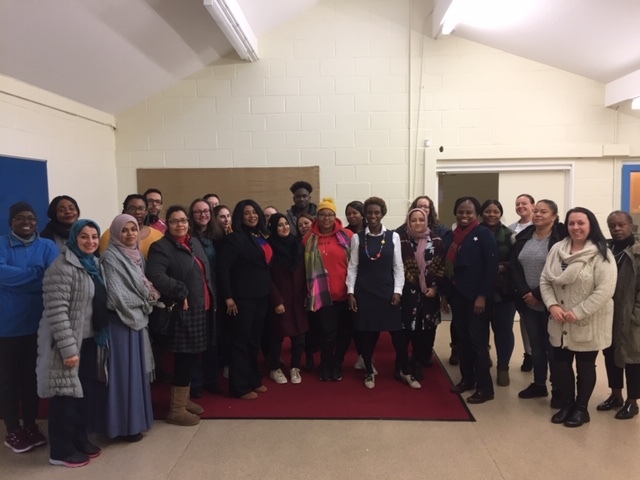 We work with businesses and organisations, schools and colleges, women's groups and individuals to provide opportunities and spaces to develop a diverse range of communication skills. 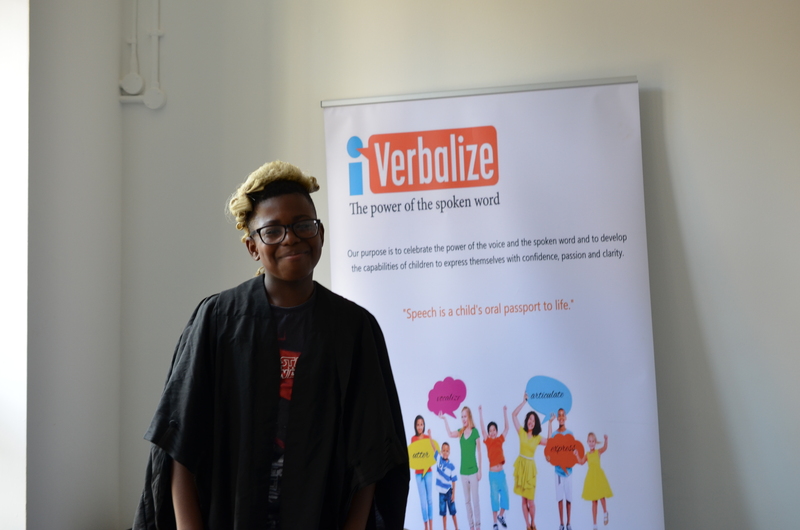 At iVerbalize, we are genuinely passionate about enabling people from all walks of life to take the steps from being spectators to courageous and confident speakers. Our methodology is simple, fun and creative and builds on your existing personality and strengths so that you remain true to your unique self as an authentic speaker. Our positive and supportive training uniquely combines highly interactive small group work with coaching for your individual needs in a safe and encouraging atmosphere. "Speech is much more than merely standing before an audience and saying something." "The worst speech you’ll ever give, will be far better than the one you never give”. Our Chief Verbalizer is a lawyer by profession who now coaches and accelerates business executives to grow by becoming more self-aware resulting in greater influence and impact. 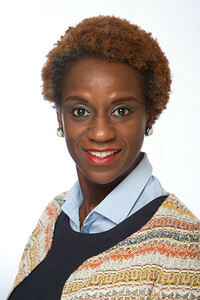 She uses insight, humour and creativity to support her clients to communicate with greater ease and clarity, enhance their performance and gain a better understanding of their personality traits, strengths and weaknesses. A mother of 3 wonderful children, she is passionate about the next generation and mentors young people in the developing world to become future leaders. 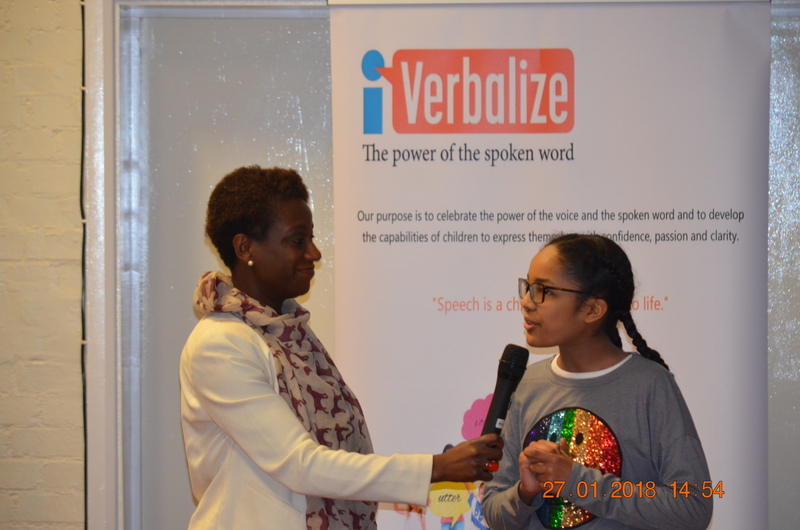 In her view, enabling children from all backgrounds to celebrate the power of their voices and their words when spoken, is crucial and the goal is to develop their capabilities to express themselves with confidence, passion and clarity. 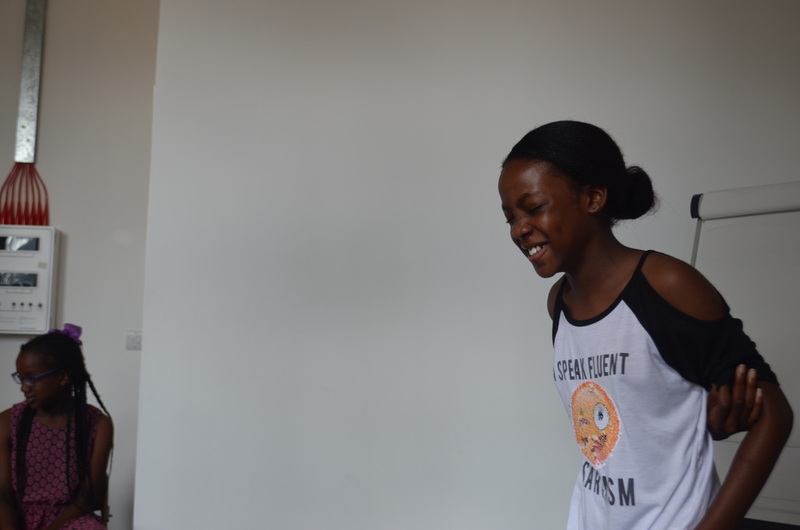 Running, laughing, singing and baking are part and parcel of her world. 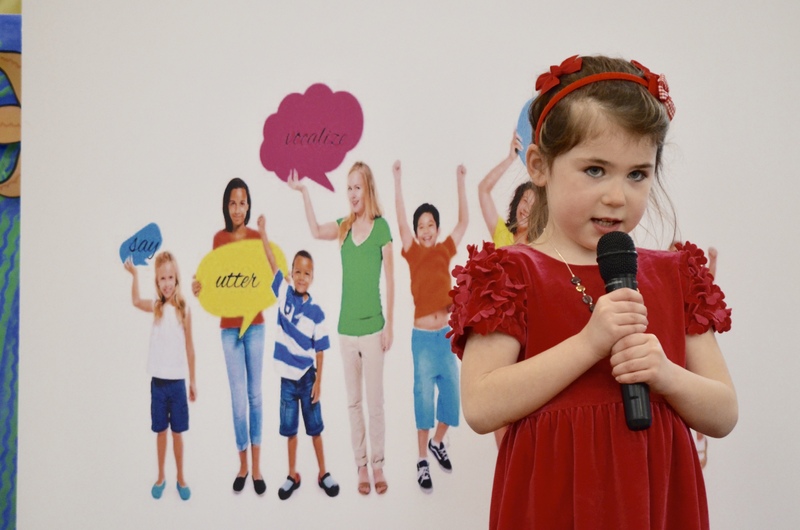 We provide a range of services to boost self-confidence by developing public speaking and communication skills. 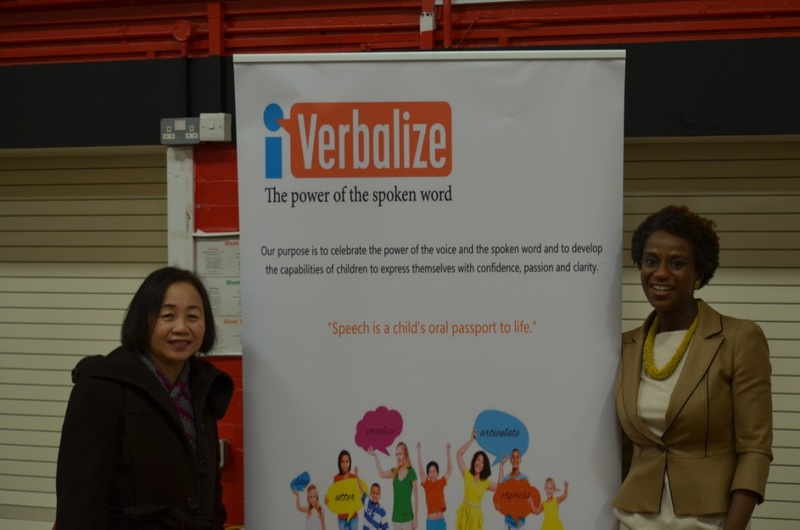 We do this through our training workshops,1-2-1 coaching and bespoke speech festivals. 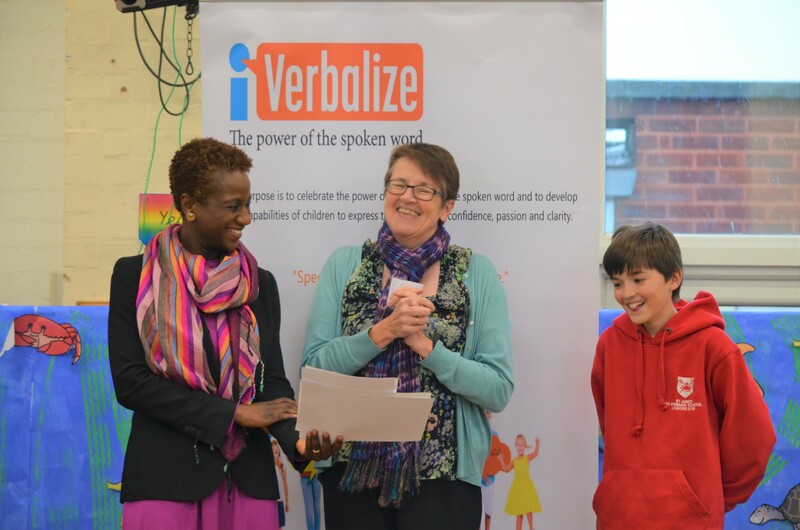 Our bespoke and highly interactive workshops enable and empower individuals, team members and managers to verbalize with confidence and to appreciate and develop their unique voices and communication styles. With the use of our powerful yet simple i7 methodology, we explore what holds individuals back from speaking up and provide memorable tips and techniques to eliminate potential fears of public speaking. 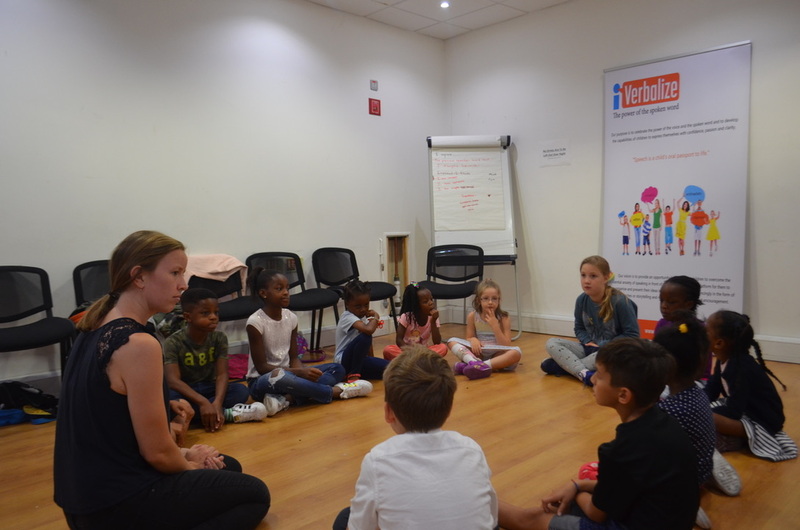 Participation in a variety of games and activities enhance the crucial skills of fostering deeper connections when communicating; whether to a small or large audience. We believe that when the dots of speaking up can be connected to the ability to have an impact by recognising the power of our spoken words, we are empowered to take those steps from spectator to speaker and this can literally change everything! We run private one to one coaching sessions for individuals seeking to further hone their communication and oratory skills by enabling them to discover their own unique style, voice and message and employ it. This service is available in face to face meetings, via Skype and on the phone. The coaching is always tailored to personal requirements and is very hands-on. Through our focused training, practice and appraisals, key skills and techniques are acquired and our on-going practical feedback is detailed and specific to meet particular needs. 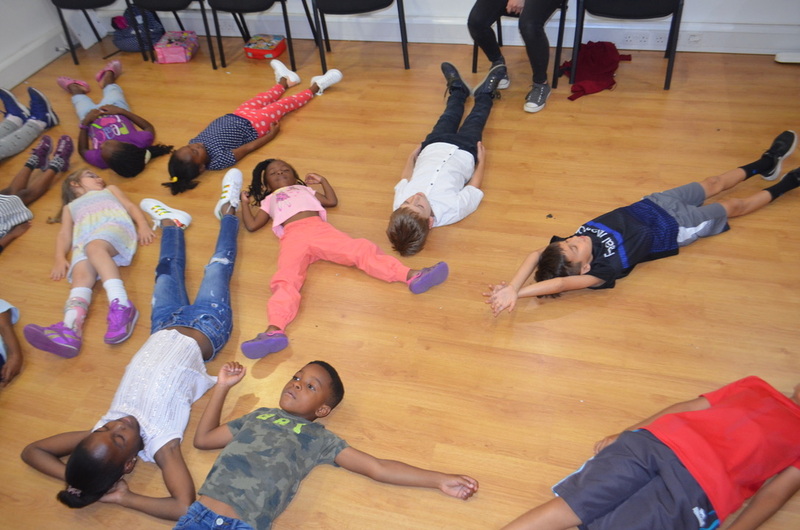 We incorporate methods which help to develop a more engaging and influential speaking manner, utilise the power of non-verbal communication and voice projection and relaxation and breathing exercises to deal with nerves and common fears. Our goal is to foster increased confidence and the capacity to have a greater impact. 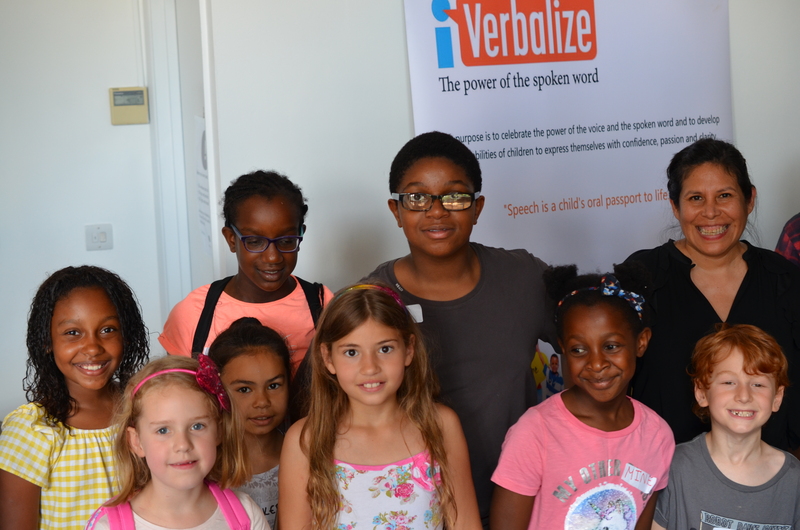 iVerbalize works with schools to organise and facilitate speech festivals; a forum for children to boost their creativity, courage and confidence in a fun and relaxed atmosphere. It consists of children preparing various pieces of poetry, speeches and stories to perform from memory before an audience and to have an authoritative and encouraging assessment of their performance from an adjudicator who will present feedback and judge the winning pieces. Through our fun and energizing workshops prior to the festival, we are able to equip the children with practical tips, tricks and techniques on how to prepare and deliver their content effectively.The purpose of the competition is to celebrate the power of the voice and spoken word and to develop the capabilities of the children to express themselves with confidence, passion and clarity. No equipment is needed, just enthusiasm and the courage to step out and speak up. 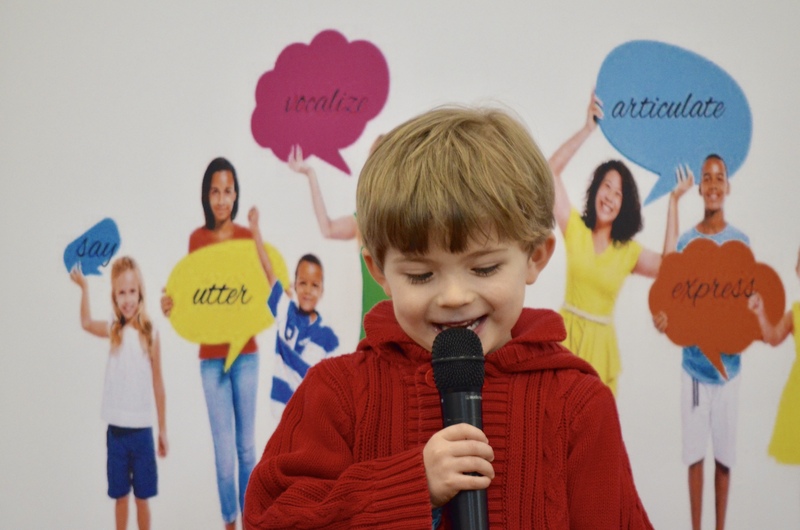 of adults we have spoken with, wish that they had been provided with more public speaking opportunities as children. of the schools and parents we have worked with would recommend us! found the event beneficial for the participants! Workshop provided me with the tools to be more aware of my words, tone, body language & listening; all aspects were very useful. Both my children love the opportunity to speak and enjoy speaking to an audience, but there is not often a lot of opportunity for this to be developed within the school (one is currently most disappointed at her lack of lines for the year 2 nativity!). Neither of them is particularly sporty, but this is one area in which they can excel, especially with practice, and so to have the opportunity to refine something they enjoy doing, and receive feedback and guidance, and have the chance to shine (and perhaps win!) was a great thing for them. For my son to have particular recognition at being the best at something for that moment was also a special benefit for him, since, like many children, he can struggle to find his place, and being able to speak is not always something that is recognised in the same way as other achievements within a school setting. Until we started the process of preparing for the speech festival, I had not realised how important this was to him. With practice and attention, this can be a very open playing field, where everyone has a chance of success, which is not always the case with other activities. Since the festival my daughter feels her confidence has improved immensely, she now puts herself forward for speaking parts in schools and performs in front of audiences. 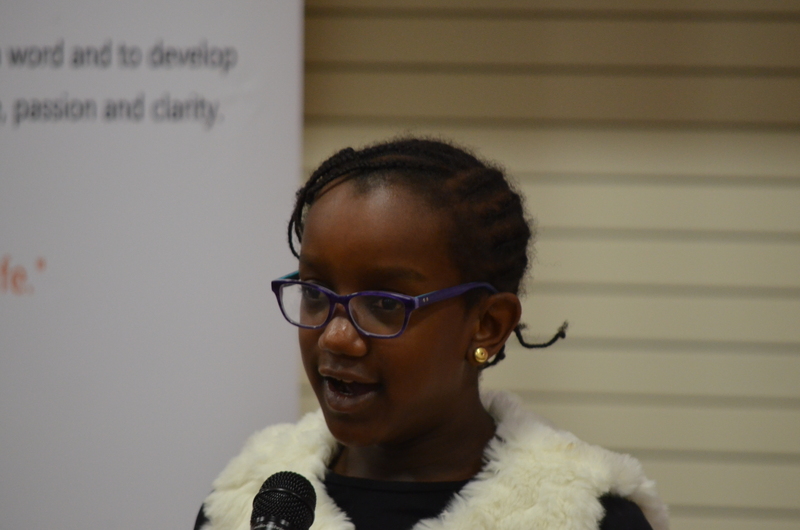 Also it highlighted that she is creative and she wants to do more writing and oratory activities. She left with a sense of joy and achievement and was extremely proud of the certificate (which she has treasured and safely put away) and being called out in front at assembly. She’s already looking forward to the next one. 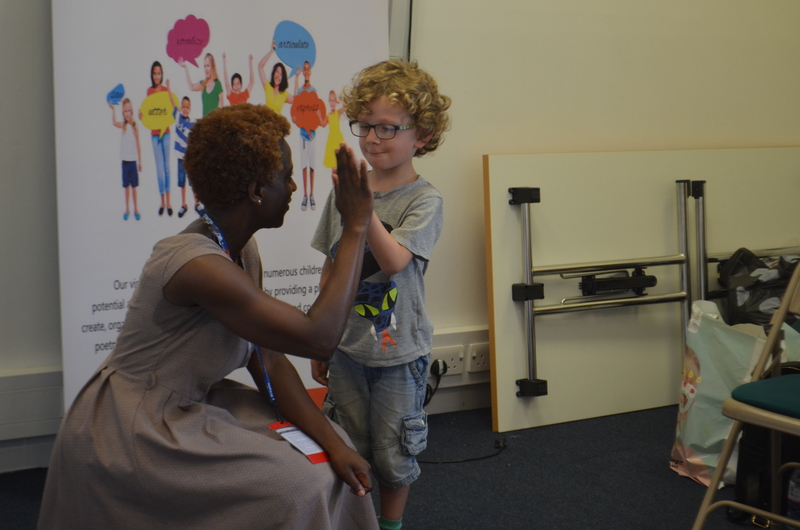 You’re amazing, helped me to engage & focus – I didn’t want the training to end! This event has been very beneficial to build my child's confidence by participating on the day. The encouragement given to her was amazing as well as inspiring. 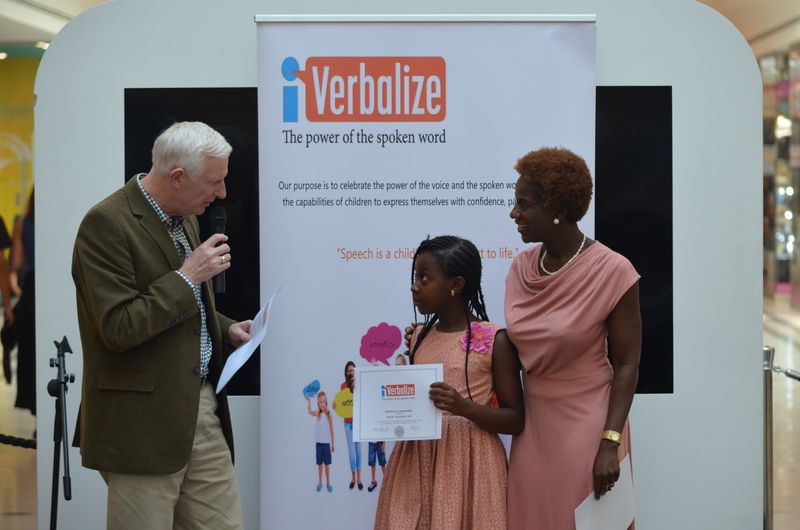 This event has helped her in many ways, to be able to express and develop my child's speaking skills further. 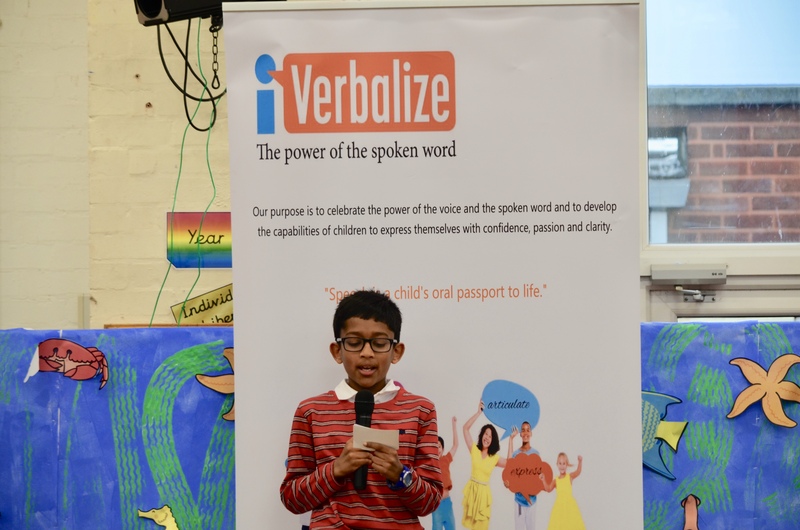 I think every school should look at the services iVerbalize offers - you are passionate for children to have a place in the world of public speaking. 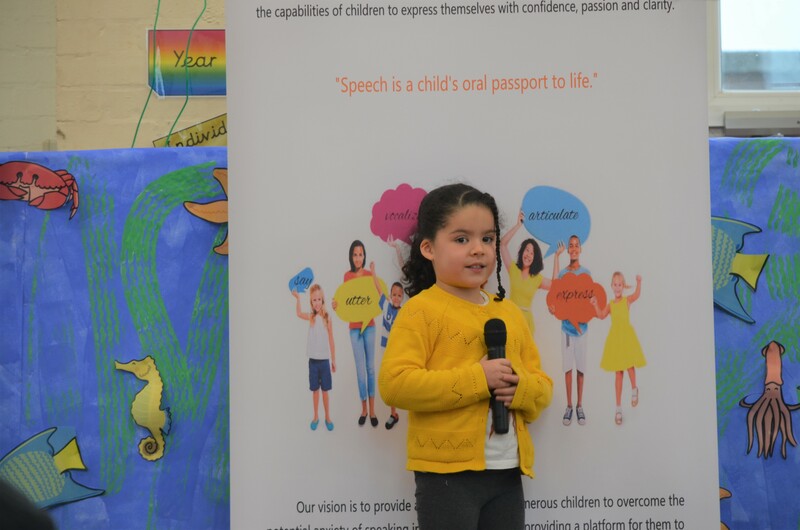 The event was beneficial to my child as she gained exposure to public speaking, memorising skills and developed creative skills orally and in writing. I loved everything about the session and felt a sense of empowerment afterwards - like I could do anything! Great interactive stuff and really different activities. I wish I knew you when my children were young; I wish someone like you was around when I was young! 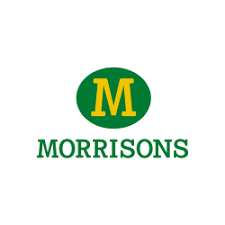 Confident & professional - you are your own best advert and you love what you do. This is an invaluable experience for all kids with many positive outcomes. It's great that you are helping children to be confident before they even have time to know they are fearful! Your enthusiasm and beliefs make me want to work for you. You are a gifted speaker with great motivational skills and you want to give opportunities and grow the confidence of children , especially those from less privileged areas. You are an amazing speaker - inspiring, confident & engaging and you give me a feeling that all the children you work with, would feel included and cared for. It is clear that you are passionate about empowering everyone to speak up and speak out. Your style is full of such enthusiasm that we too were all in turn enthused. Thank you for your empathy and for the kindness you showed to those of us who were incredibly nervous and even fearful. The humour really helped to bond this group of practical strangers together. I was excited and apprehensive beforehand and now can not wait to sign up for a future course or workshop and have highly recommended you to others! Provides a very professional and engaging service and is excellent at her craft. It was such a fun, confidence -building experience and I think we all surprised ourseves with the power of our voices in just an hour-long session. You set an excellent example of being able to hold attention yet make everyone feel like they're the only one in the room. Working with you is a must for anyone who would like to get better at speaking in public. I just wanted to write to tell you how impressed I was yesterday. All the children did so well. 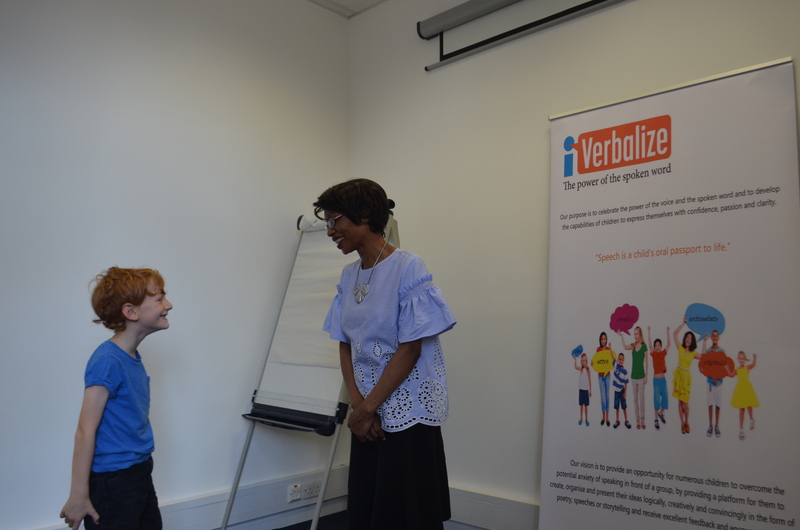 My husband and I felt that I-Verbalize has offered our children a massive step in gaining self confidence in their own voices. Thank you for encouraging our daughter on stage, and you were right... as for our son, it was more than a memory feat, he really enjoyed communicating with his audience! For a child with a communication disorder this was such an important step to take. It was wonderful to be so surprised by one's own child and we were very proud. It goes to show one shouldn't limit ones expectations of any child - even one who might find it difficult to participate or behave 'properly'. And our daughter overcame some of her shyness too- in such a short time. They loved it and we've talked about it a lot today! Q: What did Catboy do when he needed to speak up?